These come in 10 ml bottles and are 20mg Nicotine salts. There’s actually some really interesting science behind nicotine salts but without getting too technical about acids, bases, protons, lipids and whatnot, the main difference between nicotine salts and standard e-liquid ‘freebase’ nicotine is the temperature at which each of them work best. The nicotine in these salts is very similar to the natural equivalent found in tobacco leaves, but on its own would need to be vaped at a very high temperature to have any effect. 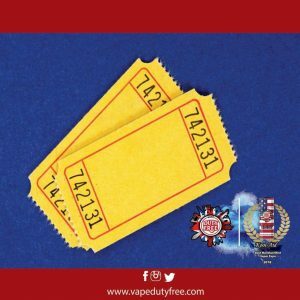 By combining the ‘base’ nicotine with any one of a range of typical acids the resulting ‘salt’ can be vaped at much lower temperature yet still pack a comparatively hefty hit of nicotine for what Vape Duty Free say will be a distinctly smoother vape. Nicotine salts could also prove to be the game changer for smokers still hoping to quit but who haven’t found the standard ‘freebase’ liquids as satisfying as they’d hoped. So what are the benefits of nic salts? Well they are more effective at delivering nicotine to the bloodstream, so you’ll feel the rush of satisfaction much quicker than traditional freebase nicotine. So this means you’ll vape less e-liquid to feel satisfied, and save money in the process, definitely a win win! Due to their lower alkalinity, e-liquids made with nic salts can be vaped at high strengths without feeling harsh on the throat. This makes them perfect for people who are wanting to quit smoking. But also long term vapers who still have occasional cravings and need that quick fix. 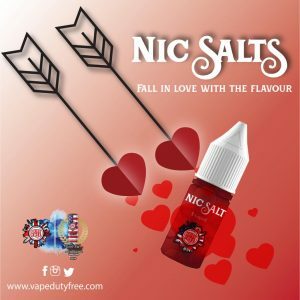 Combining a 20mg flavoured nic salt with a mouth-to-lung device is a great starting point for anyone looking to quit smoking. Most pod devices on the market today are very simple to use and already have high resistance coils perfectly suited for nic salts. Also, these have the additional benefit of being small and discreet. So, you no longer have to carry round your big, bulky box mods for your daily nicotine fix. 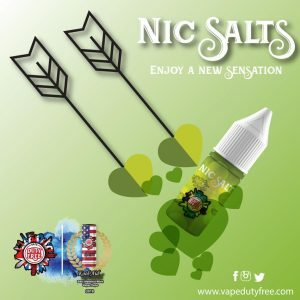 Are nic salts just a fad or here to stay? 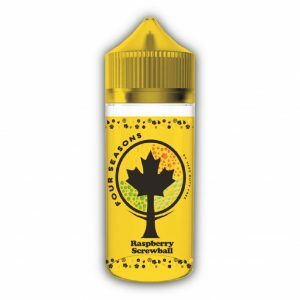 Personally, in my opinion, they definitely have thier own unique place in the vape scene for both advanced vapers and newbies who are looking to quit. For people wanting to quit, they are smoother on the throat, you get more of a nicotine hit and also the satisfaction you’re looking for. As for someone who has been vaping for a while, from time to time you can still get cravings – whether from a stressful day at work or the kids driving you up the wall. A few puffs on a mouth-to-lung device with some 20mg nic salts could well be just enough to take them nasty cravings away. You can then carry on your day on your usual device, whilst knowing your little pod is there ready for you should you need it. 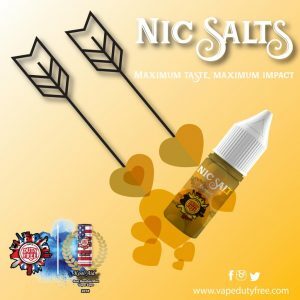 I for one am very excited about the new release of the Vape Duty Free Nic Salts range and know Vape Duty Free have done 6 months worth of extensive research and development before launching them. They have a strong belief towards developing quality products for consumers. So keep your eyes peeled on the website and on their social media platforms for the latest news and updates, I can promise you they are definitely worth the wait.